Lotus Ludisa will take you from day to evening with its pewter glitz upper. 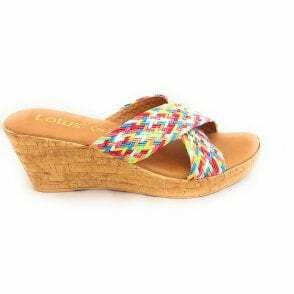 This ladies wedge sandal features an adjustable sling back strap and cushioned insole for added comfort. Wear with anything from your favourite denim to a summer dress.